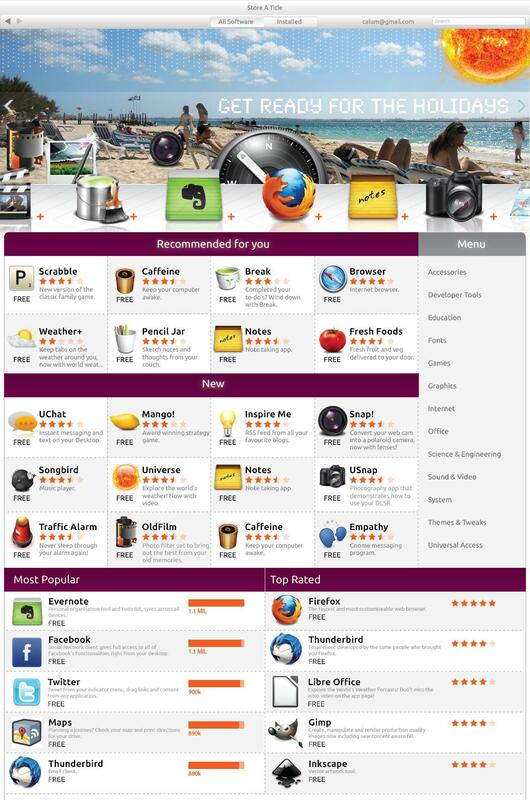 Ubuntu Software Centre 5.0 Designs Hint At Great Things to Come... - OMG! Ubuntu! The Canonical design team are currently hard at work designing, testing, evaluating new layouts for the Ubuntu Software Centre version 5.0. 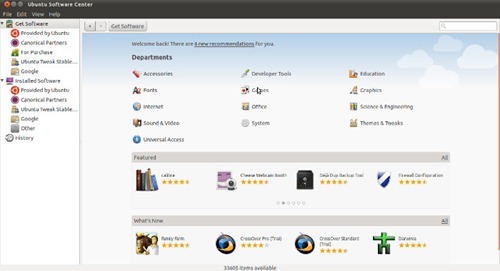 Their work so far has resulted in three highly impressive mock-ups of Ubuntu Software Store interfaces heavily featuring an aggregated set of features that are par-the-course for Application Stores across various platforms. “…my design colleague Calum Pringle and I have been working on revising the design of Ubuntu Software Center. 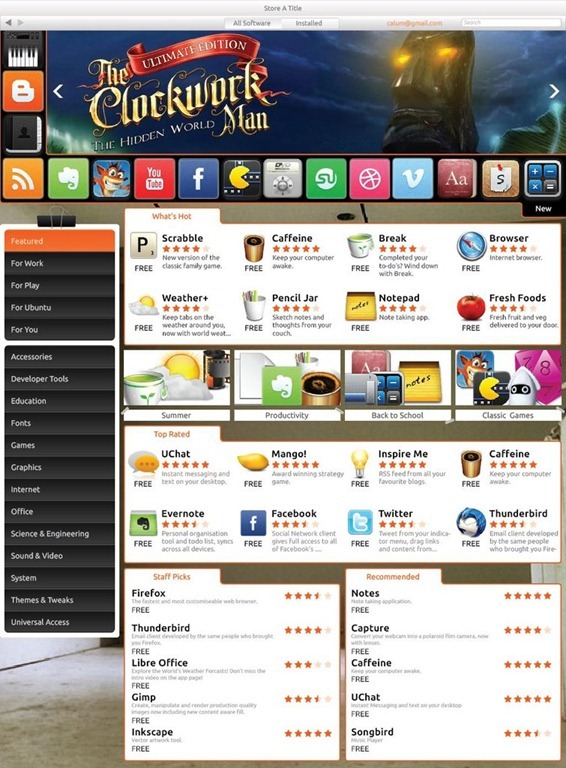 The objective is to make USC more interesting and attractive, both to Ubuntu users and to application developers. For the competitor analysis, we looked at the Android Market, Mac and iPad App Stores, Blackberry App World, Bodega, and Chrome Web Store. 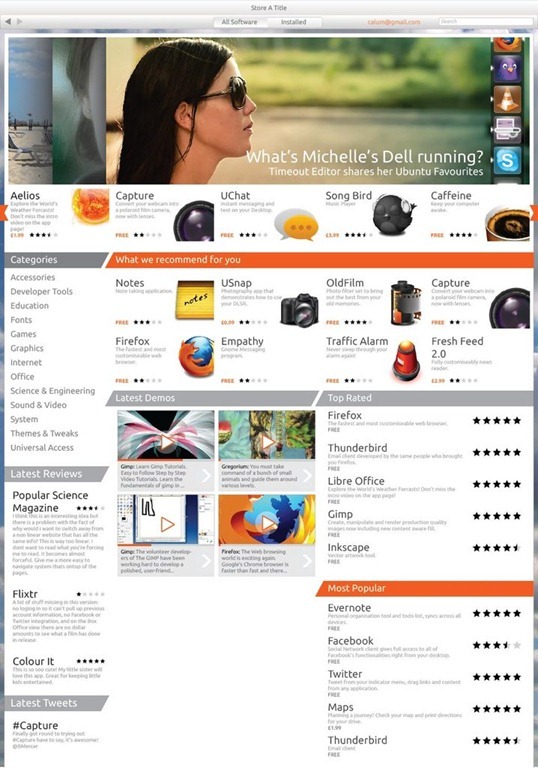 Before you get too excited by the shiny shiny bling bling the mock-ups above are still subject to change, refinement, evaluation, user feedback and not all features shown will appear in Ubuntu 11.10. But what you can get excited about is that the Ubuntu Software Centre – arguably one of Ubuntu’s strongest assets – is finally getting the level of design attention is so desperately needed. Which design is your favourite? Let us know in the comments or by�registering�a vote below.